Classic Film and TV Café: A Christmas Cruise on "The Love Boat"
By 1982, The Love Boat was sailing smoothly through its sixth season. The series still ranked in the Top Ten and its first season cast remained intact. If its feel-good formula was wearing thin, viewers didn't seem to mind nor did the guest stars--a canny mix of TV veterans, promising newcomers, and stars from Hollywood's Golden Era. The holiday episode, "The Christmas Presence," can be best described as a prototypical outing that's predictable, mildly amusing, and somehow endearing. The episode interweaves four stories. Cruise director Julie (Lauren Tewes) and purser Gopher (Fred Grandy) fear the wrath of Captain Stubing (Gaven MacLeod) when they botch decorating the ship's Christmas tree. Con men Keenan Wynn and Henry Gibson plan to smuggle gold into the U.S. by using nuns and orphans. A young married couple (Donny Osmond and Maureen McCormick) clash over her desire to continue working as a nurse instead of staying at home and having kids. Finally, Mickey Rooney is on hand as a genial old gentleman named Mr. Dominicus, who plays an angelic part in each of the stories. 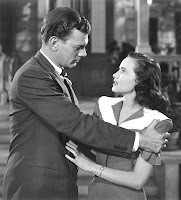 Teresa Wright and Joseph Cotten. The highlight is the opportunity to see 64-year-old Teresa Wright as Sister Regina. Thirty-nine years earlier, this charming actress seemed poised for a long big screen career after appearing as Charlie in Hitchcock's Shadow of a Doubt (1943). However, a contract dispute with Samuel Goldwyn in the late 1940s damaged her career. 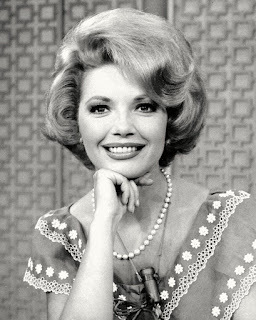 She worked mostly in television after the mid-1950s, where she went on to earn three Emmy nominations. "The Christmas Presence" also provides a once-in-a-lifetime pairing of two former two teen stars: Donny and Maureen. Both were veteran Love Boat guest stars. The bearded Donny appeared in an earlier 1980 episode, while Maureen did five guest stints aboard the Pacific Princess. Alas, it's easy to see why neither of them parlayed their teen fame into long-lasting acting careers. That said, they have both remained in the limelight which is more than many former youth stars can claim (although some were content to lead normal lives). I've always had a soft spot for The Love Boat. The actors project a genuine warmth and make us believe in the crew's camaraderie. The writing may only be adequate, but at least the brevity of the individual stories keeps each episode moving along briskly. And finally, there's the cruise ship setting, which may hold the greatest appeal for me. Yes, most episodes were shot on a sound stage with fake-looking backdrops, but, hey, that never bothered Hitchcock. I just like the concept of a plot beginning and ending with a journey, whether it's a lady vanishing on a train or two old flames rediscovering love on the Pacific Princess (surely, one of the most oft-used Love Boat plots). 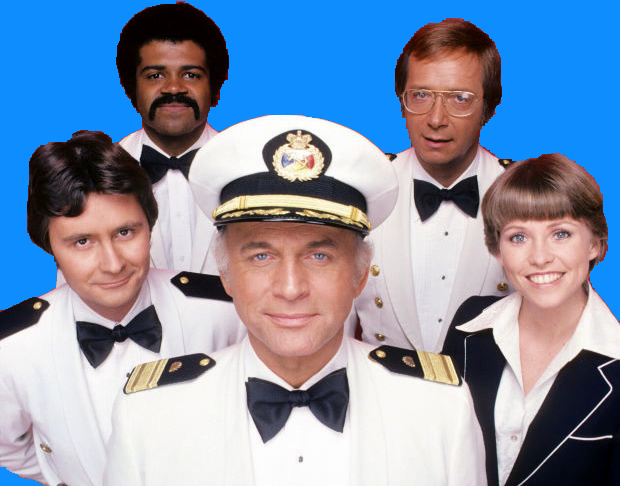 I enjoyed revisiting The Love Boat even if "The Christmas Presence" isn't a stellar episode. I'm always glad to see the series pop up on television (thanks MeTV). I find it odd that one of the biggest TV series of the late 1970s and early 1980s has never been fully released on DVD. Surprisingly, only the first two seasons are available. You would have thought that Gopher...I mean, Fred Grandy...could have added the release of the complete Love Boat DVD collection to a federal bill when he was serving in the House of Representatives! 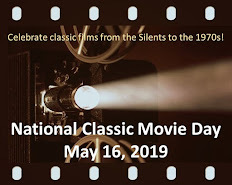 This review is part of the Very Merry MeTV Blogathon hosted by the Classic TV Blog Association. Click here to see the full schedule of posts. Someone should write a NEA grant to release all these Love Boat episodes on DVD! hahaha. You're funny. I always remember the pairing of Donny Osmond and Maureen McCormick in this episode as stellar overload too. So glad this is airing on MeTV. Thanks for the write up. This was a fun post! It was always enjoyable to see what guest stars would come aboard the Love Boat.